Sign up now to stream Love, Chunibyo and Other Delusions - Take on Me!, subs, tons of dubs, OVA's, simulcasts, plus the all new Dubcast℠ editions and more! Yuta and Rikka might be forced to separate as Rikka's family is moving. The club suggests they run away and elope. 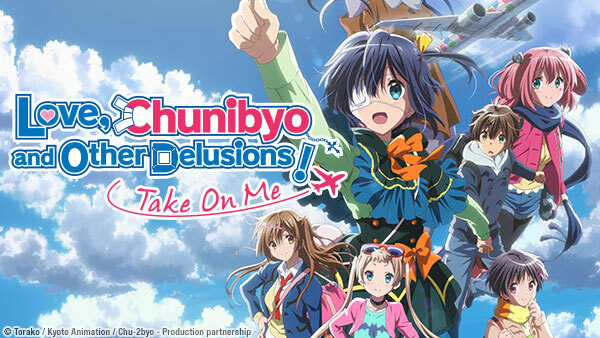 Theatrical | Love, Chunibyo and Other Delusions - Take on Me!